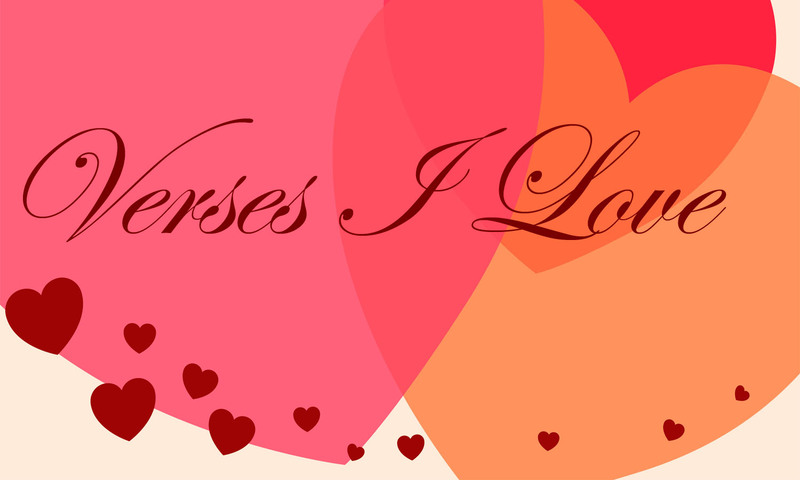 I conclude my series on “Verses I Love” with a verse about the One I love more than any other: My King, my Savior, my Master, that Friend Who is closer than any other, the Lord Jesus Christ. One reason I love this verse because I love the song, “Immortal, Invisible”. It is a song filled with praise to God. I even have a portion of it set as my ringtone. I’ve shared a lot of verses that are special to me because of my parents. One is from my husband. Some are from my own personal Bible study. But all are because of my Savior. I would not be here were it not for the grace of God. His grace allowed me to be born to Ron and Carolyn Courtney. By His grace alone, I was saved June 12, 1993. By His grace, I married a godly man. Why, even this blog post could not be written if God did not give me the strength and ability to do so. All that I am, or ever will be, is because of the “immortal, invisible, only wise God, the King eternal”. I praise Him with my whole heart. Thanks for reading my ramblings the past two weeks. I hope you have a happy Valentine’s Day. Most of all, I hope that you know Christ, Who loved you enough to die on a cross to save you from your sins. I have enjoyed the series, and this bonus recording was a pleasant surprise. He has a great ability, and I had not heard him sing in a long time. Thanks for sharing!